Many Korean banchan (반찬) or side dishes are vegetarian/vegan. However, it is harder when you go into the soup and stew categories. 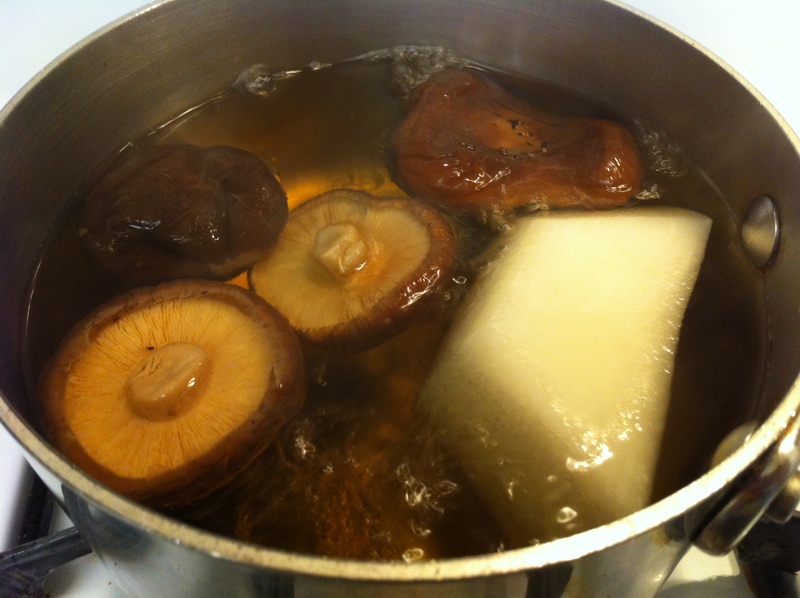 A simple solution is to replace myulchi (멸치, Korean anchovies) broth with broth made with mushrooms and dashima (다시마). 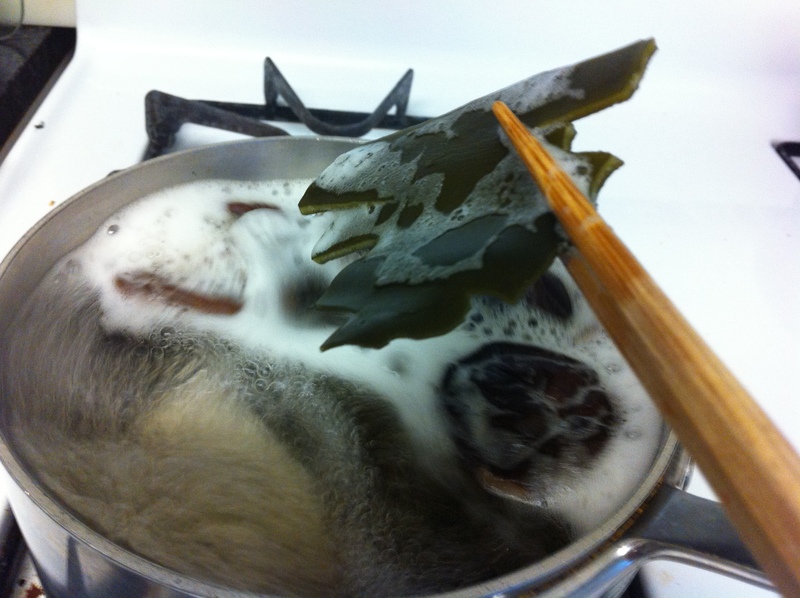 Dashima, also known as konbu in Japanese, is sea kelp and can be easily found in the Asian section of large grocery stores as well as Asian groceries. With this broth, you can make kongnamul-guk (콩나물국), miyuk-guk (미역국), duenjang-jjigae (된장찌개) and kimchi-jjigae (김치찌개) to only name a few. I got this recipe from my mother’s Buddhist monk friend on my last trip to Korea. As you probably know, Buddhist monks are vegan and yet their food is delicious beyond words. 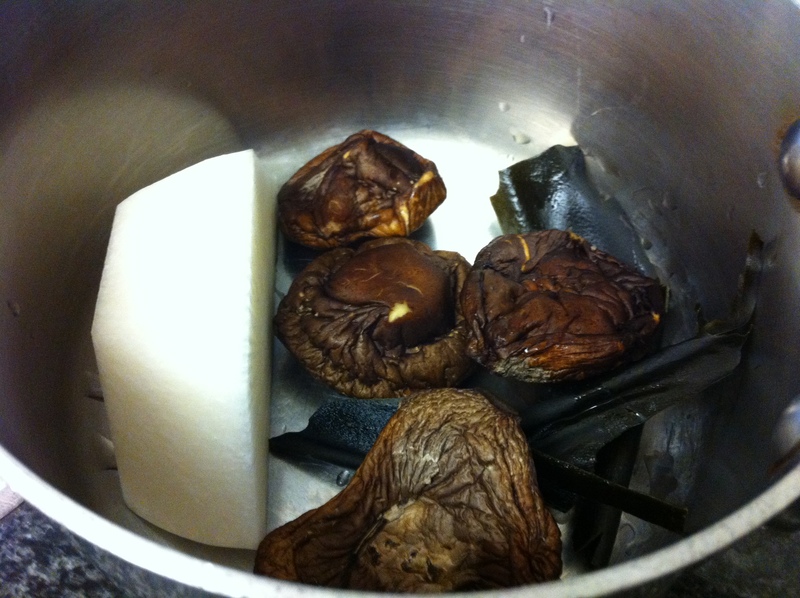 Wipe the surface of the mushrooms and dashima (다시마) with a wet paper towel. 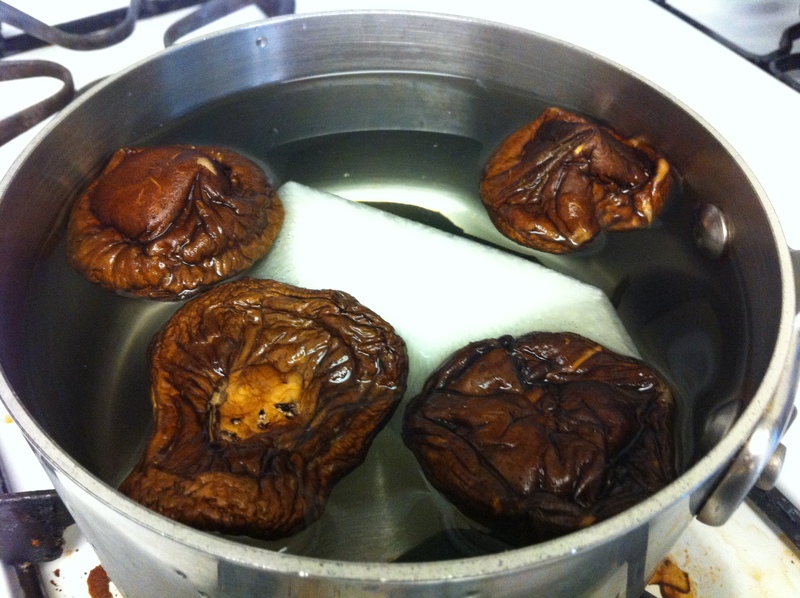 If you are using dried shitake mushrooms, you can quickly rinse it under water. I actually prefer using dried shitake mushrooms because they are higher in vitamin D than the fresh ones. 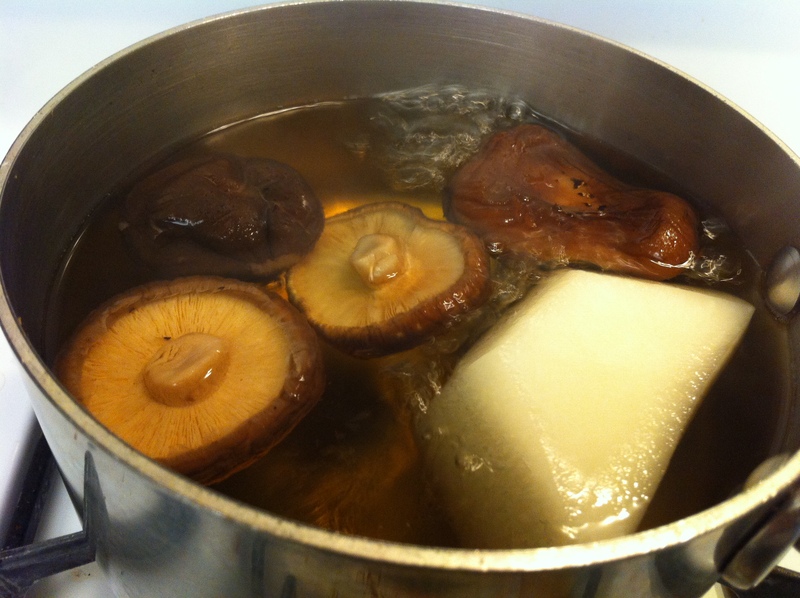 Place the mushrooms, dashima and moo in a pot and pour the water in. Bring the stock to a boil. Take out the dashima once the water comes to a boil. Lower the heat and let the mushrooms and moo simmer until the moo is soft. You can discard the moo but save the mushrooms. This entry was posted in Broth, Vegan/Vegetarian Options and tagged Broth, dashima, shitake mushrooms, vegan, vegetarian by gangnamkitchen. Bookmark the permalink.